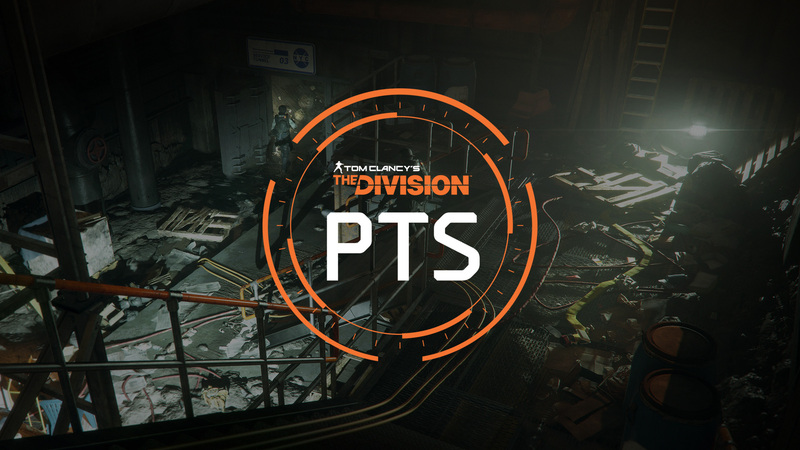 The PTS is now up and running for all PC players, but what things have changed so far? Although the community has tried very hard to find out as much as possible in the last couple of days, the developers have finally decided to release the full patch notes for the game build of Update 1.4 that is currently running on the test server. Compared to the first changelog, the new one is very detailed in terms of stats and numbers for talents, skills, weapons, etc. As always, keep in mind that these things are still subject to change during the public test phase and moreover, you could actually have an impact on them by providing feedback in the official PTS forums! If you haven’t downloaded the client yet, you can check out this article, which also includes some more useful links around the PTS and Update 1.4 itself. Heroic Difficulty is no longer available for any game activity. Added a player reporting interface for PC users. Players now have the “mark as junk” option when equipping mods. Players can now mark weapon and gear items as “favorites” which locks them in their inventory. Locked items cannot be sold, shared or dismantled. Added a buyback option to vendor’s inventory. Players can now recover items they have accidentally sold. Added Quick Nav option to vendors and menus allowing players to quickly select item types they want to display. Weapon skins no longer take inventory space. Equipped items are now always displayed at the top of the inventory list. Recalibrated items now have an icon displayed next to their recalibrated stat/talent. Crafting materials can now be converted in bulk at the Crafting Station. Players can now deconstruct items from the Stash. Players now have an option to find a better server if they are currently on one that is not their best option. They can do so from the Group Management menu. Players are no longer able to open their inventory while under status effect. Time-to-kill enemy NPCs has been lowered. Many improvements were made to enemy AI. Player ammo capacity has been doubled after level 30. When matchmaking the game will now attempt to refill empty slots if the group privacy allows it. Incendiary and Explosive Rounds will no longer apply status effects like Stagger and On Fire. Accuracy will now be lowered for a short duration after performing a combat roll. Added a delay between leaving a group and signing up for matchmaking. Weapon magazines are now refilled when restocking from an ammo crate. The crafting material drops from the Base of Operations will now reward High-End quality after level 30. Removed scavenging from the game. Scavenging is removed as a secondary stat on all gear pieces. New gear pieces can no longer roll scavenging. The Map indicator for Rogue players now increases in size the closer they are to the player. All NPCs will now have chances to drop High-End and Gear Set items, tougher enemies (veteran, elites) have higher chances to drop. Removed Gear Set Weighting from all activities except Incursions. Any Gear Set can now drop from any activity. Weekly and Daily assignment loot caches now drop items scaled with the players current gear score. Added new blueprints for Level 33 mods and Gear Score 229 High End. Added Field Proficiency: Players can now gain experience past level 30 and earn loot caches. Items quality will adapt better to the player level during the 1 to 30 progression. Vendors now sell items Gear Score 163 to 229 as soon as the players reaches level 30. Added more High End items for sale in all currencies. Roamer NPC groups and bosses are now back in the open world. They now respawn every 24 hours. Search & Destroy will now reward the player with 5 Target Intel upon completion at the mission board for normal Search and Destroy, 10 for Critical Search and Destroy (instead of 2 and 4). Weekly HVT vendors now sell 2 of each contract type, instead of 1. Added 40 new High Value Target contracts to the contract pool. Players can now gain Underground experience past level 40 and earn more Underground Caches. Directive now reward with Phoenix Credits and no longer items. Falcon Lost now has additional checkpoints after each C4 explosion. The 4 Horsemen farm cover has been modified to prevent players from avoiding RC Cars explosions. Abilities cooldown will now reset when the group wipes and respawns at the last checkpoint. Removed Skill Bonus from all gear items. Instead, Backpack, Holster and Kneepads will now have additional slots dedicated to Performance Mods (Backpack = 2, Holster = 1, Kneepads = 1). Not that this change will not be retroactive. Reduced the range of additional bonuses such as Critical Hit chance or Headshot Damage. Rebalanced bonuses provided by Performance Mods. Removed stats overlap between Gear Scores (this does not apply to percentage based stats). Removed hard caps on most skills. Expected Skill Power is now 3 times higher. Skill Power from Electronics has been multiplied by 3. Recovery Link now revives teammates from dead state and automatically revives the player when down, in solo play. Damage per second calculations now ignore magazine size, reload speed, accuracy and headshot damage. Weapon Mods have been changed: they will now have one major bonus and an amount of smaller bonuses depending on the quality of the mod. Damage bonuses are now additive instead of multiplicative. Weapon Talents have been rebalanced. Gear Set gear scores have been brought in-line with High-End gear scores tiers. Removed the 5 piece bonus on all Gear Sets that had one. Fixed a bug where NPCs could shoot players through doors while they were being opened. Fixed a bug where the intensity of the Directive Sickness would be decided on Operation entry, allowing for Gear swap to reduce the effect. The intensity will now dynamically adapt to the current Stamina of the player. Fixed a bug where First Aid would not trigger if the player is in a firefight. Fixed a bug where First Aid effect would not apply immediately after triggering the skill. Fixed a bug where Smart Cover would be destroyed when used during a combat roll. Fixed a bug where Smart Cover would be destroyed if deployed instantly while the player if aiming down sight. Fixed a bug where Smart Cover Trapper would apply to non-hostile players. Fixed a bug where the self-reload from the 4 piece Lone Star set would not benefit from the Support Station Ammo Cache. Fixed a bug where shooting Smart Cover off a wall would remove its effect. Fixed a bug where the Ammo Cache buff would be lost when two Support Stations with this mod would overlap each other and one of them be destroyed. Fixed a bug where fire damage dealt to a player using the Ballistic Shield would be dealt to the player instead of the Shield. Fixed a bug where players could retain the Mobile Cover buff after leaving the cover. Fixed a bug where Repo Reaper would give bullets to the player when killing an enemy with the primary weapon. Fixed a bug where Tactical Advance damage bonus would not be calculated correctly. Fixed a bug where Triage would apply to consumable cooldowns. Fixed a bug where Specialized would not correctly increase Skill Power. Fixed a bug where Resourceful would not apply to Ballistic Shield. [PC] Fixed a bug where going into cover while keeping the holding the mouse button for continuous fire would interrupt shooting until the mousebutton is released and pressed again. Fixed a bug where the Striker 4 pieces buff would be lost when switching between primary and secondary weapon. Fixed a bug where AlphaBridge would not take a Weapon Talent into account if both weapons have it and the requirements are not met on either one of them. Fixed a bug where the supply drop helicopter could be heard from the map in a safe house. Fixed a bug where opening the mod menu from the inventory would always open for the equipped weapon instead of the selected weapon. Fixed a bug where the character and background would turn dark while trying to browse the appearance tab in the inventory. Fixed a bug where Audio would drop out on PS4. Fixed a bug where Grenade range was not displayed properly and appeared smaller than it actually is. Fixed a bug where bonus Medkits and Ammo gathered with specific backpacks or gear items equipped would remain after swapping to other items. Fixed a bug where players would reach maximum capacity for vanity items and wouldn’t be able to pick up new ones. Fixed a bug where using Ammo Cache Support Station in the Underground with Waste Not Want Not Directive active could result in negative ammo. « The Division PTS now Available for all PC Players & How to speed up your Download on Uplay/Steam	» The Division PTS Week 2: Patch Notes; B.L.I.N.D. becomes Banshee & What Happens to Existing Items?